We commonly perform wisdom teeth extractions to protect the patient from impaction, pain, and infection. Dr. Martin pairs the extraction process with IV sedation for a completely painless procedure. An impacted wisdom tooth is one that is coming in at an angle and not straight through the gum line. It causes pain along with uneven or partial eruption. Impacted wisdom teeth may cause infections and other problems. When a wisdom tooth emerges only partially, a flap of skin may form over the tooth. The tooth becomes difficult to clean, and bacteria accumulates there. The bacteria often also leads to a painful infection. If the teeth do manage to break through, they can crowd the mouth. They may push the remaining teeth, leading to a crooked and unhealthy smile. During your wisdom tooth removal, Dr. Martin will make a small incision in the gum to reveal the tooth. He will loosen the tooth by gently wiggling it back and forth until it can be lifted from the gums. After your surgery, we encourage you to rest. Have a family member or a friend to drive you home. We will prescribe pain medication and provide you with detailed instructions regarding post-procedural care. 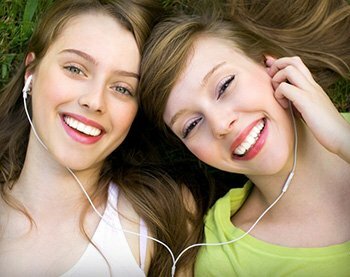 We perform wisdom teeth extractions with IV sedation. IV sedation is administered through the bloodstream, allowing you to remain somewhat awake while in your all-encompassing state of relaxation. Dr. Martin’s team will monitor you and adjust your IV sedation level as needed. Patients who choose to undergo their procedure with IV sedation report a painless and positive experience, without any unpleasant memories when they leave. Your comfort is paramount to us. To schedule your wisdom teeth consultation, call our office today.